If you could see into the future, would you? If you could find out if you were predisposed to cancer or Alzheimer’s disease, would you want to know? With genetic testing, that’s what you can do. Science has made leaps and bounds and with a genetic analysis, the experts at SLimitless can create a personalized genetic diet in order to help prevent diseases from occurring. Read on to learn more about genetic analysis and see if it’s right for you. You can take control of your destiny with a genetic analysis with the help of SLimitless. Genetic testing often occurs when a couple is having a baby, to see if the baby has Down syndrome, for example. 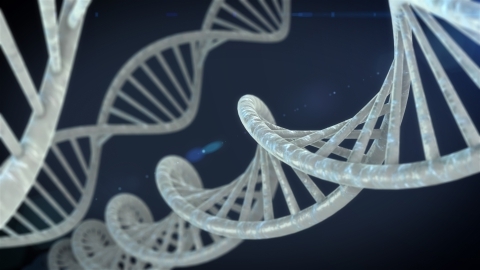 Genes are passed down from parents to offspring, and so are certain diseases and illnesses. With a genetic analysis, it is possible to see if that disease will be passed on, as well as if an adult has a greater chance of developing a disease in the future. There is some controversy surrounding genetic testing, whether or not people really need to know one way or the other. Some people may not want to know because of the way it will affect their daily life and potential plans for the future. There can sometimes be inconclusive results, leaving the patient to still question what will happen. One of the benefits of a genetic analysis is finding SNPs in your genes. Single Nucleotide Polymorphisms, pronounced snip, are common genetic variations within people. Watch our video on SNPs on our video page. Having a SNP in your genes can mean that a disease related to that gene variation could occur. For example, if there is a variation in the gene NF1, there is a great chance of developing Neurofibromatosis, the gene CFTR can present the disease cystic fibrosis. Just because there is a variation present, doesn’t mean that a disease will absolutely develop, but there is a great risk. One of the most common SNPs is within the gene MTHFR, which impacts how well your body uses folate and folic acid, forms of vitamin B9. A MTHFR SNP can mean a greater risk of developing cardiovascular disease and certain cancers. With genetic analysis, you can find out if there are SNPs in your genes and create a plan for alternative healing. If the results of your genetic analysis show SNPs in your genes, you can work together with SLimitless to create a personalized diet to prevent disease in the future. With cardiovascular disease, diet and exercise are extremely important and beneficial to your health. With a diet targeted for this disease, you can keep in mind certain bodily needs. A diet high in fruits and vegetables, whole grains and nuts, and avoiding foods that have high sugar content or trans fat will lower your already higher chance of developing cardiovascular disease. With the help of SLimitless, no matter what the genetic analysis results show, we provide a plan to improve your life with alternative healing. If you want to take control of your health before damaging symptoms begin, get the right start at SLimitless. Contact us today for more information.